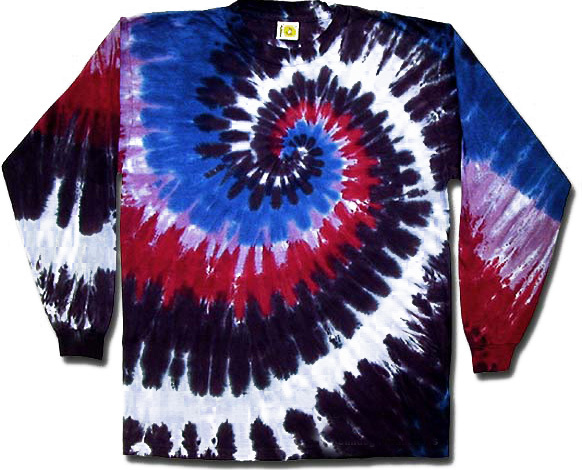 A very exciting 100% cotton Tie Dye T-shirt featuring splashes of cranberry and love. One of our best sellers! Available in short and long sleeve versions Adult sizes Small, Medium, Large, XL & 2XL!